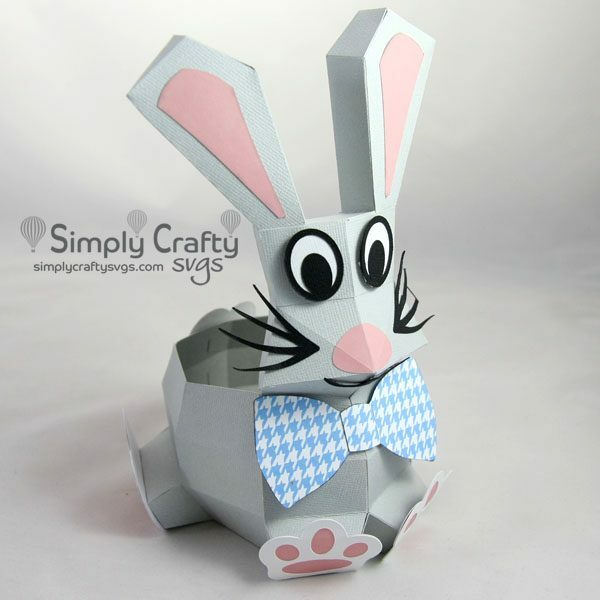 3D box shaped like a bunny. 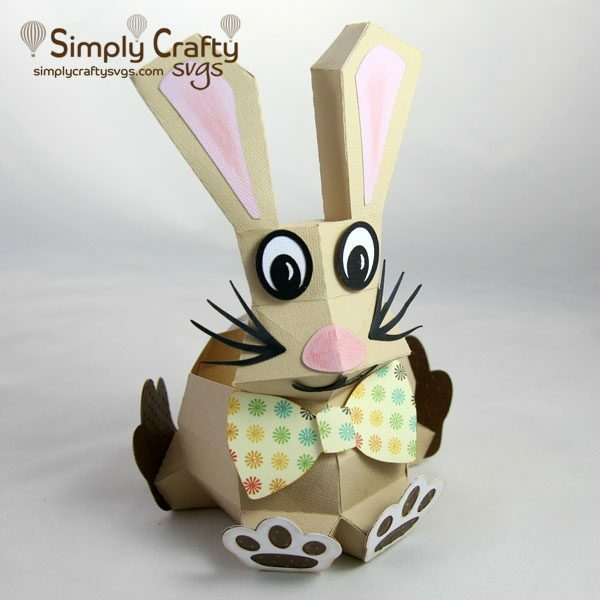 Use the Bunny Box SVG File to make this whimsical 3D Bunny Box for Easter. 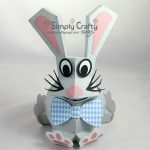 The Bunny Box will make a fun Easter basket. The box opening is a great size for holding Easter candy and other goodies. Before purchasing, please review the assembly video, as this may be a bit overwhelming for a beginner to 3D papercraft assembly (see below). If you have not done so, you can practice on a variety of available SVG freebies. 2-3 pieces of 12 x 12 cardstock are required for the box portion. If you just want to make the box without the bottom panel, you can get away with 2 pieces. Bottom panel can always be another color too. Finished box height to top of ears is @ 9”. Height to top of box opening is @ 3”. Looking at front of box, it is about 6” wide from paw to paw and @ 5.5” deep. Box opening is @ 3.5” diameter at the top. Add a handle to make it more like a basket, using rope or paper. Change the eyes up using eyes from a different file, googly eyes or just use circles or ellipses to make your own eyes. This is a digital file, not a physical product. Upon checkout, you will be granted access to download the SVG file in ZIP format. See included PDF file for SVG file information and assembly instructions. File includes SVGs with solid scorelines for compatible die cutting machines (i.e. Cricut Explore series and Sizzix eClip2).